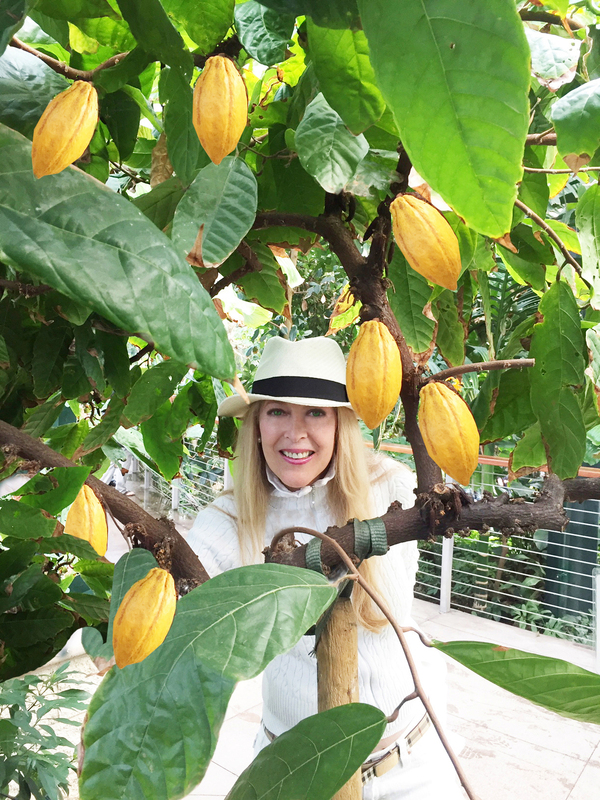 The use of the cocoa tree was discovered 2,000 years ago in the rainforests of the Americas. The cocoa tree has pods containing seeds which were processed into a paste by the Mesoamerican people. The paste was then brewed with water; which turned it into a cultural delicacy. Later, developed as a European sweet. A cocoa pod (fruit) has a rough leathery rind about 3 cm thick (this varies with the origin and variety of pod). It is filled with sweet, mucilaginous pulp (called 'baba de cacao' in South America) enclosing 30 to 50 large seeds that are fairly soft and white to pale lavender in color. While seeds are usually white, they become violet or reddish brown during the drying process. The exception is rare varieties of white cacao, in which the seeds remain white that accounts for the criollo cocoa beans that are predominantly white. Cocoa bean, also cacoa, is the dried and fully fermented fatty seed of Theobroma cacoa, from which cocoa solids and cocoa butter are extracted. They are the basis of chocolate. The Italians were the first to create chocolate confections in Europe. The Italians soon became experts in food science related to chocolate and are responsible for cultivating the finest beans through their hands on partnership with farmers of the cocoa plantations in the Amazon where they traveled to secure the best practices for the finest quality cocoa beans. 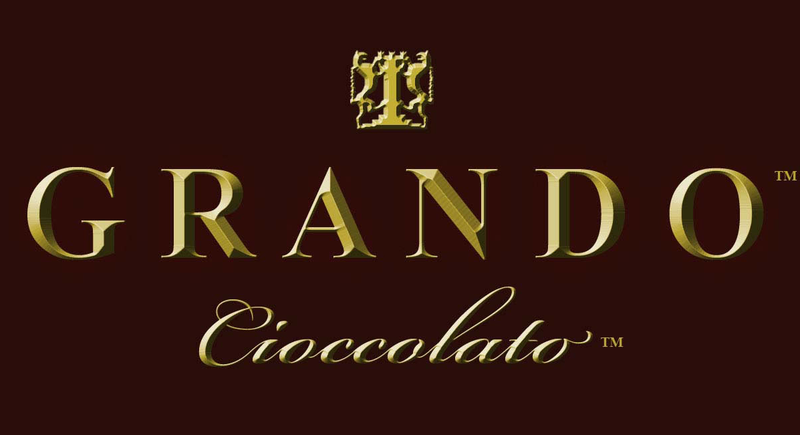 Grando takes great pride in importing the finest chocolate liquor from Italy. Chocolate liquor consists of 100% ground cocoa beans that when combined with other organic ingredients in Grando's commercial kitchen melt in your mouth with more antioxidants than any other food; which is why the word cocoa originated from the words the food of the God's. Grando Cioccolato is the creation of Nancy Grando, a second generation jeweler married to an Italian master third generation jeweler. Two years ago in an initial quest to promote their jewelry collection Nancy thought to offer a box of high quality chocolates with every purchase of Stefano's fine jewelry designs. Stefano and Nancy discovered that all of the chocolates that they had tasted did not meet the caliber of chocolates they were accustomed to from Italy. Not wanting to compromise on quality, Nancy began to import Italian premium cocoa to produce Stefano's family's coveted chocolate recipes. Then, they found a commercial kitchen to rent in Santa Barbara where they produced all of their chocolates by hand. Nancy and Stefano recruited their son Mikele to create their website and to help with the production. Several years later Nancy moved her commercial kitchen to Pasadena where she produces everything by hand. Being a jeweler for many years it was natural for Nancy Grando to initially create chocolate diamonds, gemstones, and pearls filled with Italian organic ingredients that are treated as fine as jewelry by being encased in innovative jewelry boxes. Stefano and Nancy are, also, passionate about fine wine and classical music; which accounts for their addition of chocolate grapewinesTM and chocolate violins that she created initially for her musical friends who Stefano and Nancy consider to be a part of her family. 2018 is certain to be an exciting year, as Nancy was given the opportunity to become the host of the Grand Elegant Dining show that will showcase fine dining and chocolates in luxury homes throughout the World! Nancy and Stefano love to cook and entertain, as it is their means to give back to their friends who opened their doors and hearts to them through the years. Food is the substanence of life, so why not eat the healthiest organic food, as it will reflect in your health and your heart! It is Nancy's mission in life to introduce people to great organic food that will provide them with the nutrients they need to live a long and healthy life. Viva! One last note: the Grando lion is the crest of Bassano Del Grappa Italy where my passion for Italian chocolate began. This is the City where my husband Stefano was born and where he introduced me to the finest chocolate that made me fall in love with Italian chocolate and him.